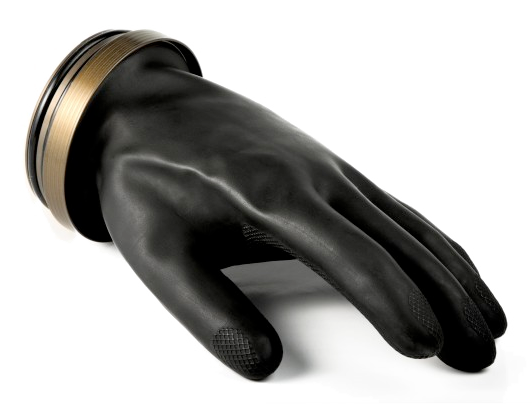 This award winning dry glove system is now available in four sizes. 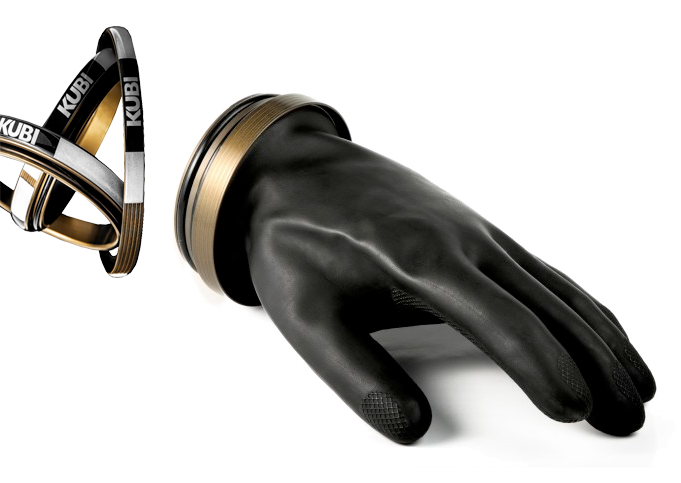 The KUBI dry glove system is the brain child of an ardent cave diver. Like a number of successful equipment manufacturers Peter Kubicka drew on his personal experience, using his own diving as a test bed to ensure everything he created and manufactured, worked. Kubicka regularly dives in 4 degree centigrade / 39 degrees Fahrenheit and he had found that the kit he was using did not perform as it should in cold water. It was not long before there was a demand for his products, so in 2002 he founded his business, to commercially create and develop effective products for advanced and technical divers. Like many small businesses, this diver's family supported and assisted with the company from day one. And they continue to do so. Today this product is the item of choice for many technical divers around the world. Just walk around a temperate water diver site and you'll soon spot it being worn because a wide range of quality drysuit manufacturers including O'Three, Otter and Santi install it on their suits. Now the range has been augmented with the addition of a new smaller size ring of 70mm. The ring system - available in 70mm, 80mm, 90mm and 100mm diameters - fits to the latex or silicone seals of your existing drysuit.